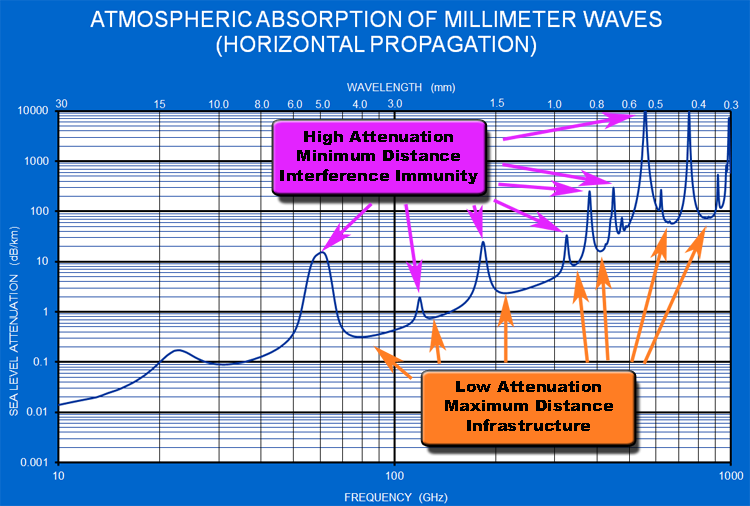 Explorers are leveraging atmospheric absorption properties to stake their claim on the mm-wave frontier from 30 GHz to 1 THz. These properties, the operating windows for minimum or maximum signal propagation characteristics, are the foundation for future mm-wave solutions. These fundamental characteristics influence the line-of-site (LOS) transmission path and subsequently whether the application is ultimately fixed or mobile. For these explorers, OML is a vital participant in the mm-wave ecosystem as a broadband test & measurement resource. By overcoming the limitation in existing microwave instruments, engineers from top-tier universities and Fortune 500 companies can address their needs during R&D, manufacturing and field maintenance phases of their product life cycle. Generally speaking, OML’s frequency extension technology is universally compatible with suppliers of microwave instruments. These suppliers include Giga-tronics, Rohde & Schwarz, Anritsu and Keysight. This versatility ensures your capital equipment purchase will support years of future exploration. OML is both a pioneer and market leader in our test & measurement role on the mm-wave frontier.